Edgar Hugh Holmes, the second child of Hugh (32) and Elizabeth Holmes, was born on 31 March 1878 at Corby Heath. His birth was registered at Bourne in Lincolnshire. His father was born in Burton Coggles in 1849 and his mother was in Woolsthorpe in 1850. In 1881 they were living in Sewstern, Melton Mowbray with their three young children Ada (5), Edgar Hugh (3) and Agnes (3 months). Hugh’s father worked as an agricultural labourer. Hugh’s mother, Elizabeth died In 1891. His father was now employed as a shepherd. The family were living in Grange Farm Cottage No.2 in North Stoke and now included Samuel and Elsie as well as Mary Holmes, their paternal grandmother, who acted as housekeeper. Edgar Hugh Holmes became a coachman and married Annie Elizabeth Hallam on the 14th May 1902 in Bottesford. They cannot be traced in the 1901 Census. However in 1911 Edgar Hugh Holmes (aged 33) was living at 28 Harold Road, Hastings with Annie Elizabeth (aged 38). Their son, Fred Hallam Holmes was 8. He was born at Elton on 23rd March 1903. His middle name refers to his mother’s maiden name – Hallam. Annie Elizabeth was a member of the Hallam/Goodson family in Bottesford. Edgar Hugh Holmes was working as a gardener in Hastings when he enlisted aged 38 years 10 months, on the 10th December 1915 (Regimental Number G/18624). He joined the 22nd Training Reserve on 11th December 1915, was mobilised on 14th June 1916, and then posted on 16th June 1916 to the 6th Battalion The Royal Fusiliers. After his training he transferred to a Reserve Battalion Royal Fusiliers on the 1st September 1916. 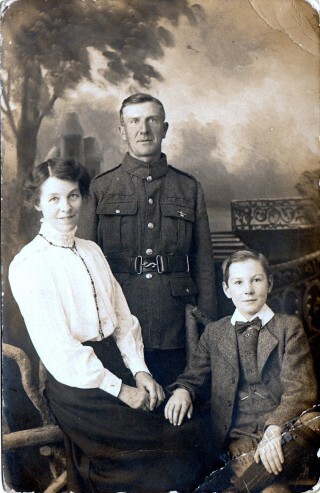 Hugh Holmes travelled to France with the British Expeditionary Force on 4th October 1916. 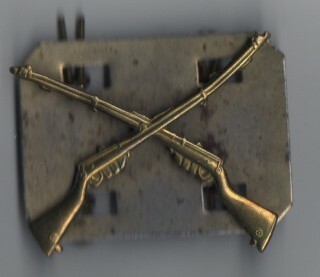 On arrival he transferred to the 26th Royal Fusiliers. 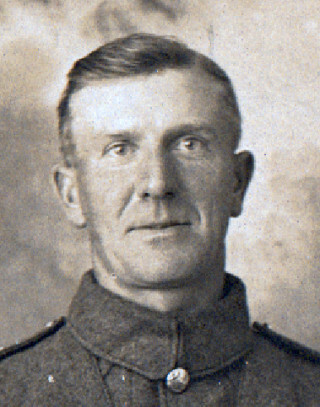 By the 14th October he had been transferred to the Royal West Kent Regiment, joining the 7th Battalion on the 17th October 1916. This brief description does not do justice to the maelstrom on the Somme Hugh Holmes would be exposed to during his short time at the front. The 7th Battalion had suffered heavy losses in their initial engagements on the Somme. Hugh joined them in Albert as they embarked on intensive training incorporating reinforcements to bring them back up to battle strength. He survived intensive front line action between the 27th to 29th October 1916 near Thiepval. Hugh Holmes would leave the front line at 3.30pm on the 29th with ‘no billets’ to rest in. On the 30th the Battalion marched 8 miles to Warloy to arrive at ‘good billets’. The Battalion War Diary for those two days records 28 killed, 116 wounded and 14 missing. A week later they received orders ‘to relieve the 7th Queens in FABICK TRENCH’ which had previously been the German main line of defense at the Battle of Courcelette in September 1916. The battalion stayed in the front line for two days between 8 – 10th October. 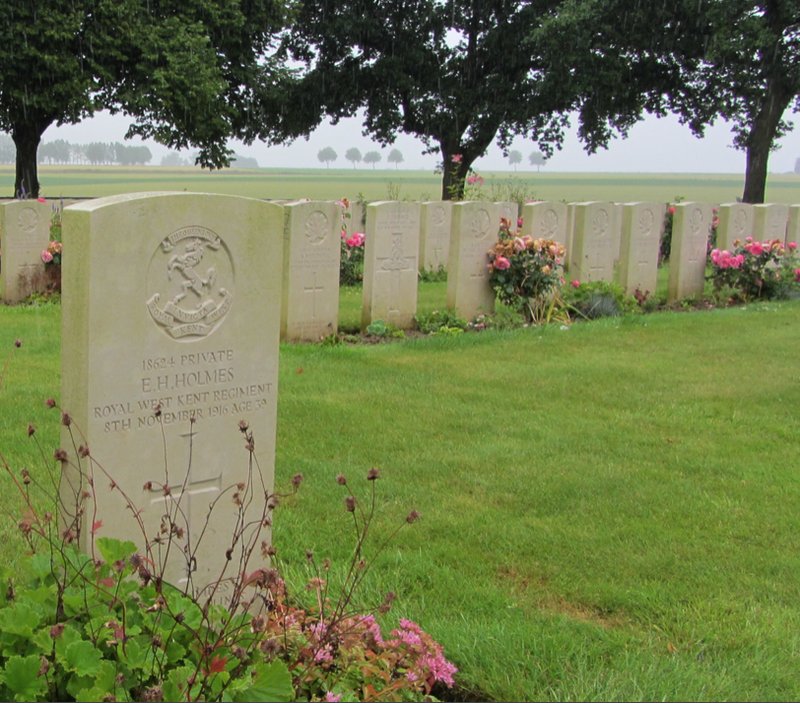 Edgar Hugh Holmes was killed in action on the 8th November 1916 age 39 after barely two weeks in action. He had the misfortune, along with many others, to enter into active service in a Battalion that took very heavy losses during the Battle of the Somme. The sad news reached Bottesford this week that Pte. 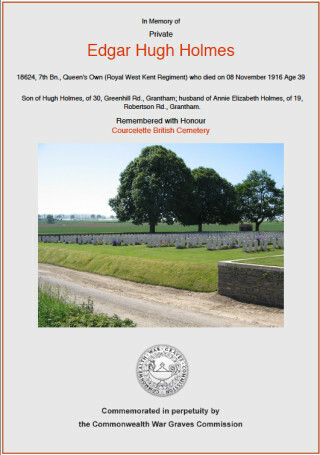 Hugh Holmes, of the Royal West Kents, had been killed in action. In a letter to his wife, the chaplain explained that he himself was within twenty yards of Pte. Holmes when he was killed. A party of thirty men were going to the trenches, and had already marched about 5 miles when a shell exploded near Pte. Holmes, killing him instantly and wounding several others. Several of his friends buried him and the chaplain took the funeral service over his grave which has been marked with a cross. His “mates” all speak of his cheerfulness. Pte. Holmes was a native of Stoke, Grantham and came to Bottesford as a boy, later employed by Dr Sheppard, then in the service of the late Rev. R Wetherall of Elton. He left Elton to remain in Mrs Wetherall’s service at Folkestone. He has only been abroad about six weeks. His widow, for whom much sympathy is felt, is the eldest daughter of the late Mr. F and Mrs Hallam of High Street, Bottesford. Pte. Holmes had a large circle of friends in Bottesford and Elton, who will deeply deplore his death. (…) the fighting had been very bitter. The losses during that period of the 7th (Royal West Kent Battalion) give some clue to the intensity of the fighting and the great part it had played. Its “parapet strength” in the last week of June (1916) had been 36 officers and 837 other ranks; it had received drafts to 28 officers and 955 other ranks, yet could only muster 20 officers and 59 men at the end of November. (p. 224). 1777 men were either killed or severely wounded on active service with the 7th Battalion in the four month Battle of the Somme. Edgar Hugh Holmes was one of those men. Military records name him as the son of Hugh Holmes 30 Greenhill Road, Grantham and husband of Annie Elizabeth Holmes 19 Robertson Road, Grantham. So it is possible that she had moved to Grantham to be near to her family while Edgar Hugh Holmes was in the army. Hugh Holmes was awarded the British War and the Victory Medal. To acquire the memorial plaque and certificate that the family of each casualty was entitled to, there were a number of official forms to be completed. One form was sent in May 1920 requested details of relatives. Both of Hugh’s parents had died by then. Hugh’s brother Samuel aged 36 and his two sisters Ada (42) and Elsie (32) were named and the Reverend Walford witnessed the document. In the Service Records there is a letter from Annie Elizabeth Holmes requesting the return of her marriage lines and her son’s birth certificate ‘in case they were needed for further business’. It is hard to imagine how families coped with the extra burden of officialdom associated with their losses in that post war period. 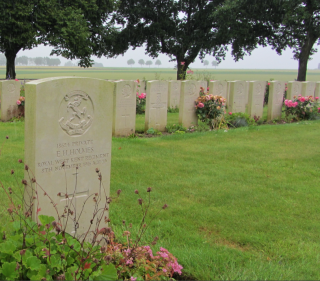 Edgar Hugh Holmes was buried in Courcelette British Cemetery, Somme, France. Fred Hallam Holmes, Hugh and Elizabeth’s only son, would live a long life. He joined the Grantham Journal as a boy and prospered, rising to become its Managing Director.